Home Uncategorized Simplicity is hard. I love simple picture books. I enjoy complex picture books too, but mostly I gravitate towards simply told stories and illustration. That is the kind of books I want to and try to make. It is easy to be awed by the wonderful art of the Chris Van Allsburgs, the Maurice Sendaks, the Lane Smiths, but I am equally awed by the wonderfully simple art of the James Marshalls, the Peter H. Reynolds, the Mo Willems. I’m not suggesting by ANY means that the works of Marshall, Reynolds, or Willems comes easily, because I’m sure it doesn’t. When you can pair a simple art style with a simple story I think you have my favorite kind of a picture book. 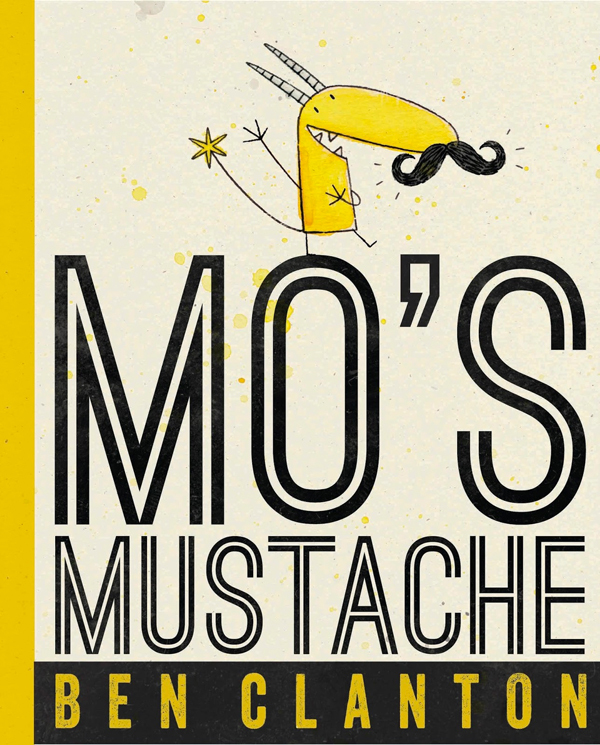 Ben Clanton (VOTE FOR ME!, MO’S MOUSTACHE, THE TABLE SETS ITSELF) is a new favorite of mine who is so damn good at simplicity. 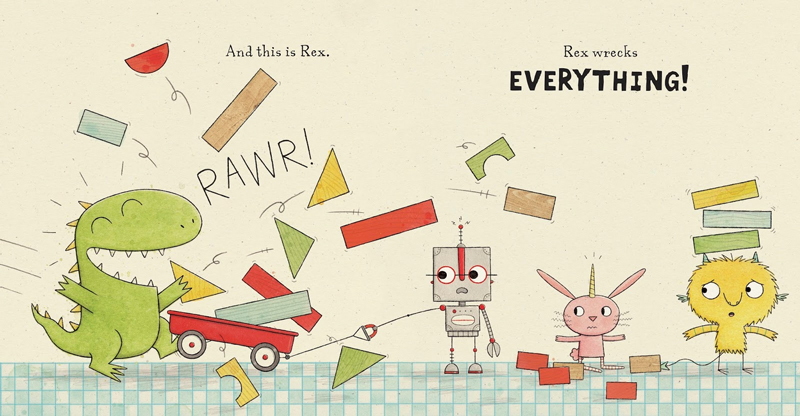 REX WRECKS IT, his newest book, is a terrific example of a picture book so simple and so great that I immediately want to read it again and again. Then smack myself in the forehead muttering, “this is brilliant—why didn’t I think of this?”. Ben’s writing is succinct and dramatic. The story is told in less than 200 words. But you are fully vested in it and the characters right away. His wonderful illustrations seal the deal. Simple line and a limited watercolor palette bring the characters to life and establish an instant familiarity. Like we’ve known (and loved) these characters for years. 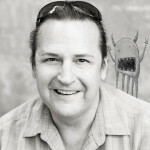 I think, as an illustrator, that is one thing that I strive for most; creating likable, endearing, familiar characters. The story is simple in its premise and deftly delivered. It is picture book genius. 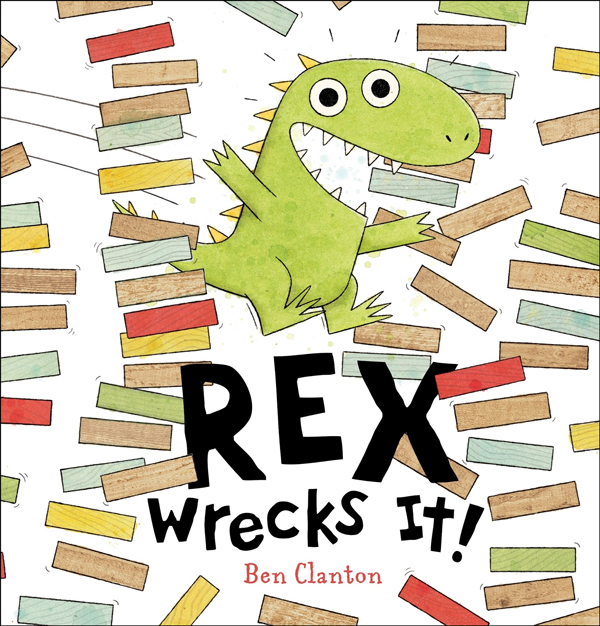 The premise is simple; Rex, a most endearing dinosaur with a wealth of toddler-like energy and enthusiasm, likes to wreck things. His three friends, Gizmo, a robot, Sprinkles, a unicorn bunny, and Wild, a monster, like to build things. The conflict is quickly defined and played out with hilarity. The resolution is compromise and, even if you see it coming, very satisfying. This is the kind of book that I’d love to have under my belt. Ben Clanton, simple art. Bookmark. Agreed. Simplicity isn’t simple. It’s hard. I am making a list of recommended books found at this site. 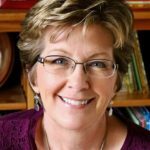 Sounds like you really like this author/illustrator. I look forward to reading his work too. I think you’ll love Ben’s work! So true! I’m not familiar with Ben’s work, so I’m looking forward to checking it out. Thanks for the recommendation, Kevan! You bet! I’m sure you’ll love Ben’s books! Nicely done, Kevan. I have seen this book, but I haven’t taken the time to sit down and savor it. Now, I will. I’ll be interested in what you think, Pat! “Working hard for simplicity” seems so oxymoronic. Good thing cutting the fluff is one of my favorite pastimes…. I mean KevAn! Ack, sorry. 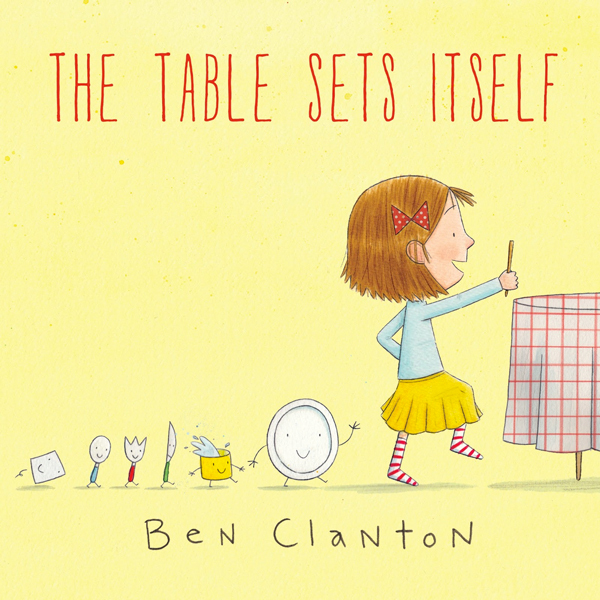 What an excellent look at simplicity in picture books. This is very difficult for me to accomplish – as much as I admire it in others! These books give me a lot to learn from. Thanks! Thanks Katey. I study books like these hoping to learn. I am a huge fan of Ben’s work. His art just plain makes me happy. Can’t believe I didn’t know Ben’s work. So charming! Can’t wait to check his books out at the library . . .